In Manipur, slash-and-burn agriculture practice is commonly followed in hilly region and is the main reason for the destruction of cycad populations in the state. We surveyed cycad populations in five districts of the state – Imphal-East, Bishenpur, Chandel, Senapati, and Thoubal. Since last 8 years, we are regularly surveying the populations to study their taxonomy, phenology and population status. 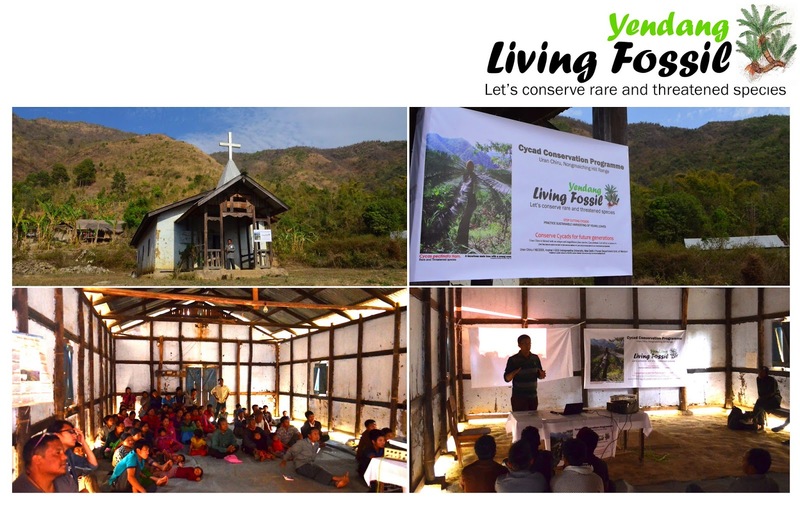 In early 2014, with the help of Forest Department, Government of Manipur and Village Authority of one village near the vicinity of the cycad populations, we conducted field surveys and interviewed villagers about the uses and present situation of the cycad habitat. These poor villagers in order to support their families collect leaves of Cycas and sold them in the market but during the process, they destroy the cycad populations due to unsustainable harvesting and chopping of trunks. After several rounds of talk with the village authority and Village Chairman in 2014, we finally got permission to start Cycad Conservation Program in the village. The programme is divided into 4 main phases. 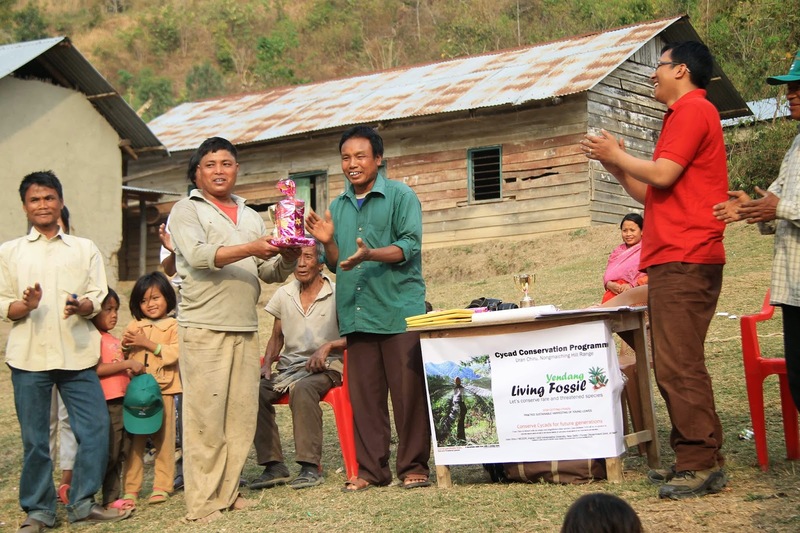 In the first phase, the villagers will be made aware about the importance of the species and empowered them about their role as savior of this magnificent species. The remaining phases will continue after the success of this initial yet crucial phase. Success of the initiative depend on this initial phase and we need your help. Well wishers, cycad lovers, plant enthusiasts and nature lovers are requested to support this noble initiative to conserve this rare, endangered and threatened species, Cycas pectinata (Local name: Yendang). 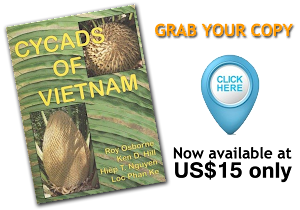 Know more about this species, click here.